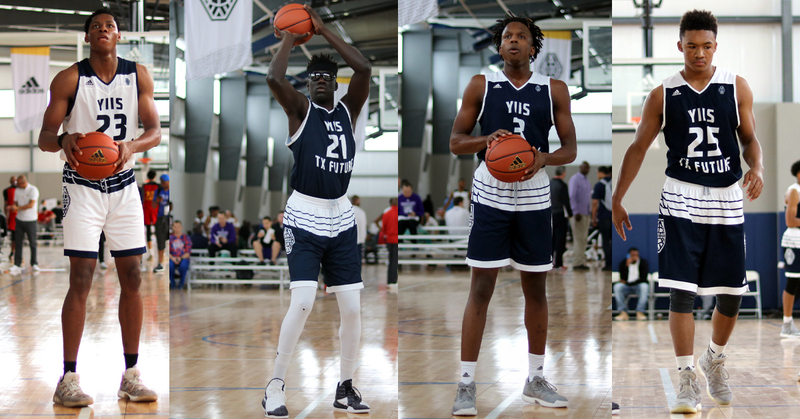 The YIIS Texas Future 17U basketball team went undefeated in a 4-0 run at the Adidas Gauntlet basketball tournament in Dallas, TX. Watch this mix-tape of their victory against Romeo Langford (ranked prospect) and the Twenty Two Vision. Watch in HD for the best viewing pleasure. You can also watch this video on YouTube by clicking here. It’s no surprise that the Texas Future did as well as they did at the tournament. Their family-like organization is full of faith, and hard work. They know how to play together, and utilize each player’s unique abilities. Their team is stacked with great players like Charles Bassey, Ousmane Ndim, James Jean-marie, Samuel Chaput, Chris Mullins and Larry Wise (just to name a few). The YIIS Texas Future now move on to the next round of play at the adidas Gauntlet in Atlanta, GA where they will hopefully go undefeated again! Learn more about adidas Uprising and the adidas Gauntlet, here. Follow us on Twitter @TBScouts and like us on Facebook.